Hemisphere™ 5.1 is a room-covering centerpiece that projects RGBWA LED beams through dozens of clear lenses — just like a rotating, multi-colored mirror ball. Individually controllable LEDs match the mood of any event and allow you to create custom light shows. Multiple control options include 4-channel DMX mode and built-in automated and sound-active programs. Power link up to 10 units to save time running cables, and no duty cycle means the fixture can run all night. Considering purchasing the Chauvet Hemisphere 5.1 RGBWA? Have questions? Ask people who've recently bought one. Do you own the Chauvet Hemisphere 5.1 RGBWA? Why not write a review based on your experience with it. Really great light fixture for mobile DJ or static. Brighter than KAM equivalent. This is a really nice looking effect suited for every gig that you would do. It almost replicates a mirrorball without the hassle of trying to awkwardly mount it somewhere!! 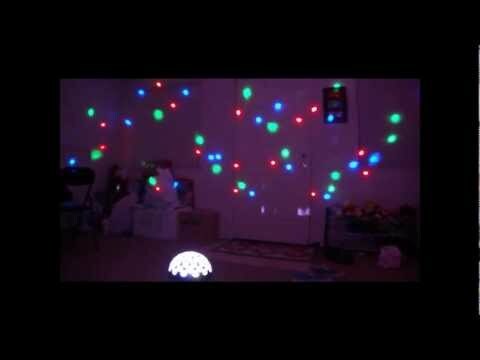 The DMX is very useful if you are wanting to create really nice lightshows and the power linking is a great idea! Very nice effect! 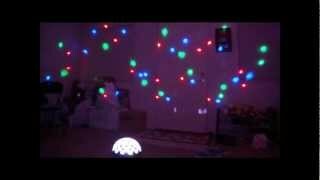 Seen a video for Chauvet Hemisphere 5.1 RGBWA online or have you own video? Check out Chauvet Hemisphere 5.1 RGBWA on DJkit.com!